One year ago Ahed Tamimi was arrested for slapping an Israeli soldier. Despite her time in prison, she remains defiant. When Ahed Tamimi is asked about her own future, she says she wants to take up a degree in international law. At which university? ‘I don’t know.’ Where? The same answer. Released after six months in prison earlier this year and still only 17, Tamimi knows it will be difficult to plan a future under the Israeli occupation. Much of the pretext to her arrest a year ago was lost in the coverage of her detention. In the days preceding it, Ahed’s 15-year-old cousin Mohammed Tamimi was shot in the head at close range by an Israeli soldier. As is so often the case in Israel, this led not to suspicion of the officers responsible but of the victim’s wider family. Israeli forces broke into Ahed’s family home soon after and a video of her pushing and slapping two of the intruders went viral, inflaming the Israeli authorities. Four days later, her home was broken into again by soldiers looking for her. She was subsequently detained and arrested, where she tells Tribune that various Israeli laws—such as a female detainee’s right to a female guard—were not adhered to. By early January, the Israeli military filed twelve charges against Tamimi, including the assault of a soldier and ‘incitement’; it looked as if she was facing at least several years of jail time. However, the young activist benefited from a great deal of international attention. Public outcry online prompted media outlets to report on her case, and pressure grew on the Israeli prosecutors. A plea bargain resulted in her receiving an eight-month prison sentence. No charges or disciplinary action have been brought against the soldier who shot Mohammed Tamimi. In fact, a leading general in the Israeli Defence Forces claimed his injuries were sustained after falling off a bike. Twenty-one-year-old Wa’ed was sentenced to fourteen months in prison after his arrest. His crime—throwing stones at Israeli soldiers—was a direct result of the family’s protest against Ahed’s arrest. It is possible to trace the roots of many Palestinian prison sentences this way, from sibling to sibling, cousin to cousin, child to parent—a seemingly endless cycle. After months of this transitionary stage, Ahed was sentenced in March. In jail, she claims that she was treated poorly, telling Tribune that the authorities deprived her of sleep, and subjected her to arduously long interrogation sessions. While under her daily bout of intense military questioning, she was woken up at 2.30 AM, and was later walked back to her cell at midnight—a 22-hour stretch. Despite being a child, Ahed was also put in the same van as Israeli adult criminals. Once, she recalled, ‘one of the criminal prisoners asked the guard for my name, and the guard told him.’ After that, he threw a barrage of insults at her, and abused her while they were together in the van. On another occasion, Ahed said, ‘one criminal prisoner saw some girls covering their faces with hijabs, and he took his pants down in front of us’. Ahed’s experience of poor treatment at the hands of the Israeli state is not an isolated incident. B’Tselem, an Israeli human rights group, has sternly criticised the Israeli government for its treatment of Palestinian children. This year alone the Israeli military has killed 52 minors, according to Defence for Children International. Meanwhile more than 900 were detained. But this hasn’t stopped her from speaking about her experiences. 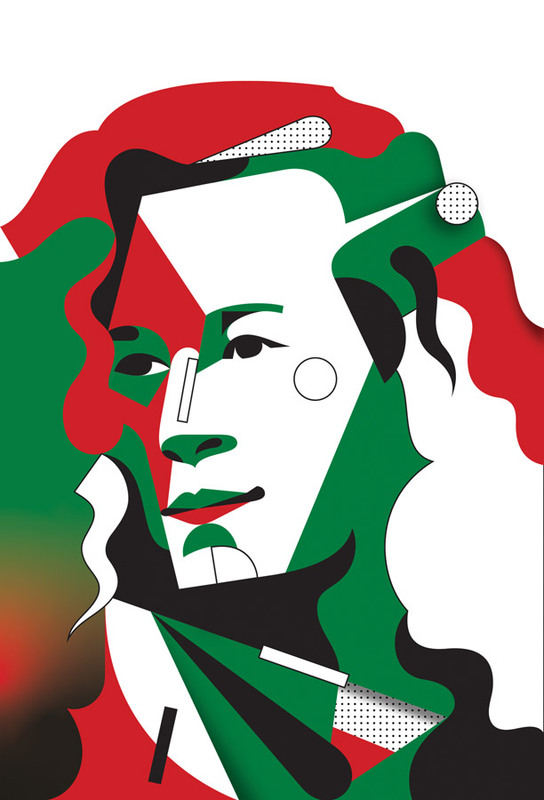 Some months after her release, Ahed Tamimi embarked on a European tour, appearing in front of thousands at the Fête de l’Humanité festival in Paris. Here she met Real Madrid striker Emilio Butragueno, who gave her a team shirt. It was the latest act to outrage the Israeli authorities, with a foreign ministry spokesperson labelling it ‘morally wrong’. Ahed Tamimi is a Palestinian activist from the village of Nabi Salih in the occupied West Bank. In December 2017 she was detained by Israeli authorities for slapping a soldier, and was imprisoned for eight months until released under a plea bargain in July. James Tarlton is a human rights monitor with the Ecumenical Accompaniment Programme in Palestine and Israel (EAPPI).